A reaction by the barons who were now supporting the young Henry III against uncontrollable foreign castellans who refused to return the castles which they had held for John during the earlier war. In October 1216 Goodrich Castle was laid siege to by the Welsh. William Marshal, Earl of Pembroke, owned the castle and had to send men in to relieve it during the coronation of Henry III. The castle’s fourth corner is its gatehouse, with portcullises, murder-holes and a drawbridge in place. 12 November 1216 Louis besieges Hertford Castle, held by Walter de Godarville. Siege engines batter the walls and it surrenders on 6 December. The garrison, under the rules of war were allowed free with horses and arms. The country later supported Henry III and by 1217 the French had left. After this the castle’s military role became secondary to its use as a royal residence and in 1299 Edward I gifted it to his wife. 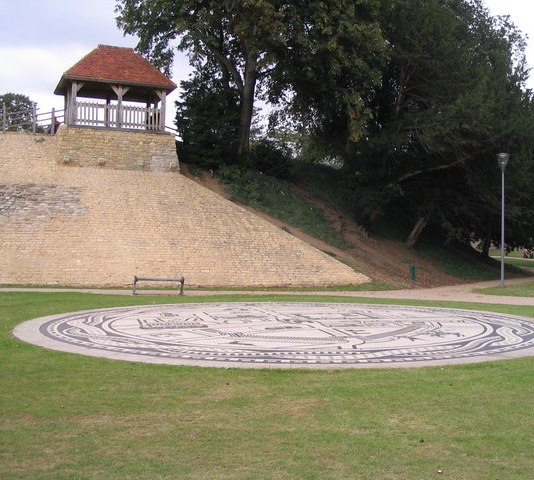 In December 1216, Berkhamsted Castle was besieged by William de Mandeville. The castle was held by ‘Waleran the German’ and as de Mandeville is setting up camp, Waleran launched a sortie capturing supply carts baggage and de Mandeville’s standard. It was successfully captured after Prince Louis attacked it with siege engines for twenty days, forcing the garrison to give in. Many besiegers were then killed before the castle was ordered surrendered on 20 December as part of a Christmas truce. Although largely ruined the circuit walls still remain, as does the Norman motte; the site may also be viewed easily from the train. Another epic and desperate siege of Dover Castle in 1216-17 by Prince Louis of France was said to be the most momentous in all English history. The French king supported the barons by sending his son and large forces. All aspects of siege warfare were employed and ultimately failed. Siege engines, mining and even bribery did not succeed, though the French did capture the barbican and undermined the gatehouse. The defenders rebuilt barricades and beat back the French. One of the largest castles in England, it is still in good order and the 20-foot high soldiers’ tunnels are still intact. 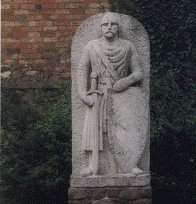 William Marshal laid siege to Farnham in the first week of March 1217. By I2 March it was taken. Originally a substantial fortification it was later slighted. It is one of the most important historic buildings in the south of England. It is an impressive stone motte and bailey fortress, which has been in continuous occupation since the 12th century. The castle is now incorporated into the town buildings around it; but it is still possible to gain an impression of its significance looking up from the town. The castle at Rye was built as a defensive fortress against French invasions. The permission to build the Ypres Tower came from Henry III. As one of the Cinque Port towns, Rye was given privileges in exchange for its support. Although details are scant, the chroniclers recount that the fortifications were captured by subtlety, possibly from the sea by Philip d’Albini at the beginning of January 1217. Early in January 1217, Louis attempted to return to France via Winchelsea. As he approached Camber Castle, the burghers of the town smashed the mills in their town, and then went to join Philip d’Albini and his fleet off Rye. Louis was caught in a trap, blockaded by sea, by the garrison of the newly captured Rye across the channel and in the rear by ‘Willikin of the Weald’. His men broke down every bridge and blocked every route north. Eustace ‘the Monk’ managed to break the blockade and get into the port where he built a huge ‘castle’ on one of the ships. A stone-caster was next set up on another ship, to hurl stones at the English fleet. However, the English sailed into the harbour and destroyed Eustace’s ships. At the end of February, a French relief fleet with 3,000 men broke the blockade and Louis managed to escape to France. The Earl of Salisbury and the younger William Marshal began laying siege to Winchester’s castles for the royalists on 6 March. Wolvesey Castle surrendered on 12 March. When the royal castle fell is unclear. It left the defences in a poor state with walls collapsed through mining and a heavy bombardment. 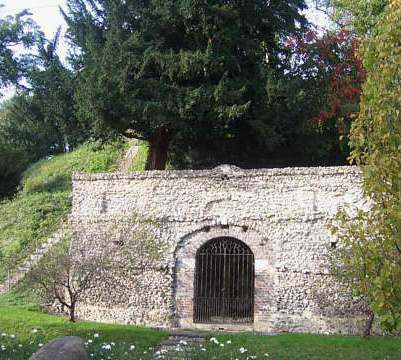 When Louis returned to Winchester in late April, the royalists abandoned it, destroying more of the surviving defences. A mythical Arthurian Roundtable hangs in the Great Hall of the old royal castle. This was made about 1280 during the reign of Edward I, an Arthurian devotee. 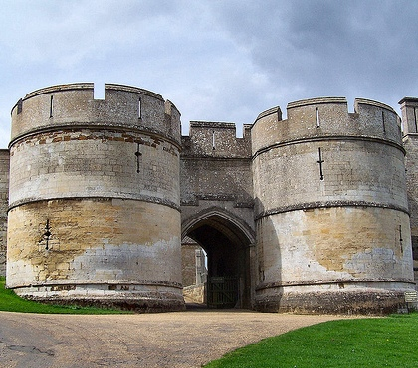 Philip d’Albini was sent to siege to Portchester Castle by William Marshal. It fell before 27 April after a month. He then slights the defences. In 1217, the castle was taken by the French, along with the south coast ports of Portsmouth and Southampton. The site features an Anglo Saxon church along with the inner bailey, circuit and the tall standing keep. Philip d’Albini was made Governor of the Isle of Jersey in 1217. He was a most celebrated character, renowned in both learning and arms. 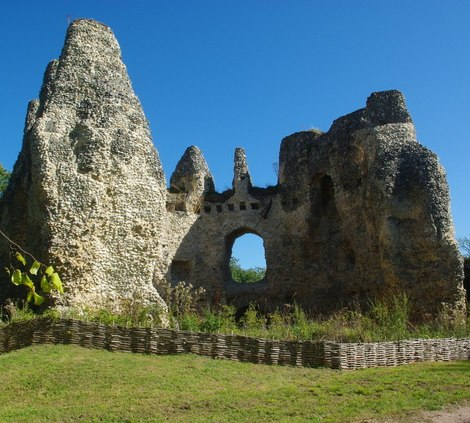 Philip d’Albini was also sent to lay siege to Odiham Castle around the end of April1217. This was always a royal favourite, and though small, Odiham might have become one of the most important strongholds in England. 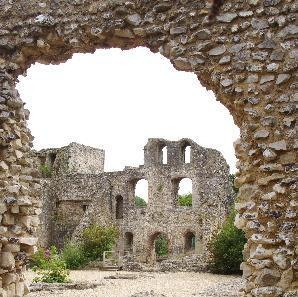 After the 2nd baron’s war, with Eleanor de Montfort in exile, Odiham Castle was again retained by the crown. A second siege took place at Hedingham in 1217, where again there was a surrender to the French prince. The castle is now in a fine state of repair, and flourishes as a family home. It is amongst the finest examples of tower keeps still standing to its original height. 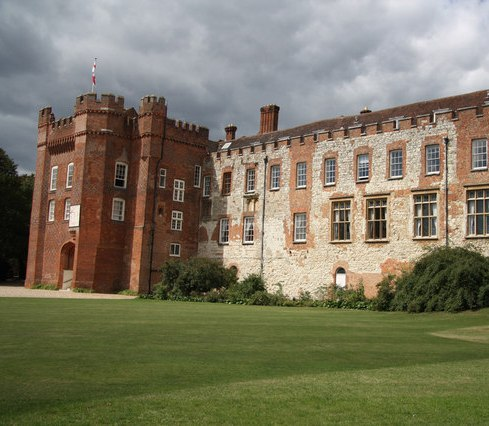 The castle is a venue for many events, including jousting, archery, falconry, re-enactment battles, local food fairs, music concerts and theatrical plays. On the last day of March 1217 the younger William Marshal was sent by his father to lay siege to Marlborough Castle. It held out for three weeks. In 1224, Eleanor of Brittany, cousin of Henry III and with a better claim to the throne, was briefly kept there as a state prisoner. After the death of Henry III, Marlborough lost favour as a royal residence. William Marshall, Earl of Pembroke, lay siege and took Caerleon Castle from Morgan ap Howel. He probably built a stone keep on top of the mound, and the stone wall and towers around the bailey. Only one tower, now attached to the Hanbury Arms public house, still survives. The castle was rebuilt in stone. The remains of many Roman buildings stood for some time, but were demolished for their building materials. 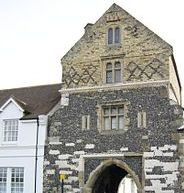 On the return from France in April 1217 Louis marched on Farnham Castle; he stormed the bailey but not the keep. By the motte is a triangular inner bailey. The outer bailey curtain wall has square flanking towers, a 13th century gatehouse and large ditch. The siege of Mountsorrel Castle started early in April 1217 by the Earl of Chester. Its garrison of ten knights and some men at arms were under Henry de Braybroke. It held out for a month until Louis sent a large relief force, at which point the Royalist besiegers retreated to Nottingham. The relief force then continued on to Lincoln where it joined the siege. It is a late 11th century earthwork fortress, probably founded by Hugh Lupus. Lincoln town was pro-rebel, but the castle held by Lady Nichola de la Haye who was a pro-John castellan. In May 1217, French forces besieging the castle were routed by a relieving force under William Marshal (Earl of Pembroke). The town was thoroughly sacked and its goods carried off by the victors earning the nickname ‘Lincoln Fair’. This impressive site, standing high above the local countryside contains two mottes, each with a stoner tower, a substantial circuit wall and two great gateways (east and west). The site has received a considerable makeover in preparation for the Magna Carta celebrations, the cathedral’s copy now being displayed in a custom-built vault, which lies within a Victorian prison, the county law courts still being used within the grounds. King John called upon the naval resources of the Cinque Ports (Hastings, Rye, Hythe, Romney and Sandwich) which provided 50 ships, and had another 50 built. (In 1213, Philip II had gathered a fleet to invade England with papal blessing against the excommunicated John. The allies surprised the French fleet at anchor, capturing 300 vessels, and burning 100 more. The royalist naval victory of 1217 meant that the war was finally over. A month later, the Treaty of Lambeth ensured that Prince Louis and his military men left England for France, never to return. In June 1220, William de Forz, the Earl of Aumarle, who was described as ‘a feudal adventurer of the worst kind’ refused to surrender Rockingham Castle which he had made the centre of his power base. De Breauté was ordered to take it by force and lay siege to the castle for a week with ‘rams and catapults and all the engines of war then in use’. The castle finally surrendered after a surprise assault, and it remained a royal castle for many years, being strengthened by Henry III with a twin D-tower gatehouse. William de Forz, the Earl of Aumarle, seized Fotheringhay Castle in January 1221. It was poorly garrisoned, and helped by an iced-over moat, he attacked it on all sides, setting fire to the door and killing two soldiers. They then ravaged the countryside in all directions. The king summoned all the magnates and all the armed forces they could raise to Northampton, who then took it back by force. Aumarle fled, but was later excommunicated by the Papal Legate and 10 bishops. 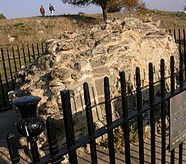 Henry III besieged Bedford Castle in 1224 after Falkes de Breauté seized and imprisoned Henry de Braybrook in the castle. It involved an army of 2,700 soldiers. The siege of the mighty castle lasted from 20 June until 15 August, and was one of the longest sieges of the century, rivalled only by those of Dover (July 1216 – May 1217) and Kenilworth (May to December 1266). It began with a move led by Hubert de Burgh to bring back all royal castles under royal control. It was the last outburst of violence which had begun at the end of King John’s reign but the firm action taken by the sixteen year old Henry III to capture the castle ensured that with the exception of the revolt of Richard Marshal in 1233, England was not riven by civil war for another forty years. It was also a further milestone in the flowering of a growing sense of Englishness. Richard Marshal, son of William led the baronial opposition to Henry III and Peter de Roches, Bishop of Winchester. He was declared a traitor by Henry III. Richard allied himself with the Welsh, resulting in Henry III besieging Goodrich Castle in 1233 and retaking personal control of the castle for a while. Goodrich guards the line of a Roman road to Gloucester, and stands on a sandstone outcrop overlooking the River Wye. At Cardiff Castle, the first Gilbert de Clare is principally remembered as one of the barons of the Magna Carta; he died in 1230, leaving his son, Richard, as his heir, though a minor. The siege of 1233 ended with the king’s forces being unsuccessful. Threats to the castle continued during this period, and in 1243, Richard tightened his father’s hold on the Welsh lords in the uplands and on the fringes of Glamorgan. The medieval town of Cardiff eventually spread out from the south side of the castle. Abergavenny Castle was originally built by a Norman lord. In 1215, the castle was visited by King John. The castle had been rebuilt of Red Sandstone, to make it easier to defend. 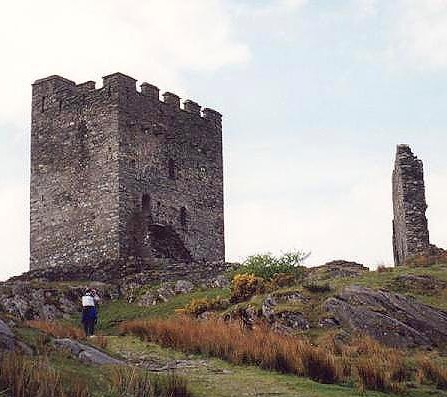 Five towers were built along the curtain walls, and a keep was added. The king’s troops held it to siege in 1233, as part of their campaign for control of the Welsh Marches, when possession of the castle alternated between the Welsh and English. The Normans had long wished to subjugate the region, and brought in Marcher Lord Richard Fitz Gilbert de Clare. He sought to strengthen the castle’s defences against Welsh attack, but he was ambushed and killed near Abergavenny. William Marshal was the next Marcher Lord to strengthen Usk Castle. However, his conflict with Henry III brought the Normans new headaches. The attack of 1233 saw Baldwin of Guînes attacked Richard Marshal’s castle at Usk. Lacking sufficient supplies it soon surrendered. Marshal later re-captured it after a bombardment by siege engines. In 1201, King John granted the lordship of three castles to Hubert de Burgh, but withdrew it from him after Hubert was captured and imprisoned in France in 1205. After the death of King John, Hubert de Burgh regained his castles in the Welsh Marches in 1219. It was Hubert who was responsible for turning the administrative castle of Grosmont into a fortress. Royal records from when Hubert was running the government of England show that he was undertaking building work at Grosmont in 1226. The rout of Henry III’s army by rebel English and Welsh forces was led by Richard Marshal. Richard Marshall, Earl of Pembroke, laid siege to the castle of Carmarthen in December 1233 for three months, building a temporary bridge across the river Towy. In March 1234, Henry de Turberville sailed with a fleet from Bristol and destroyed the improvised bridge, slaughtering its defenders. On being resupplied by sea, Richard gave up. The castle had been rebuilt in 1223, with permission to strengthen and crenellate the town. At Monmouth, there was a battle between rebel English and Welsh troops under Richard Marshal and those of Henry III commanded by Baldwin III, Count of Guînes with a mixed force of Flemings and Poitevins. 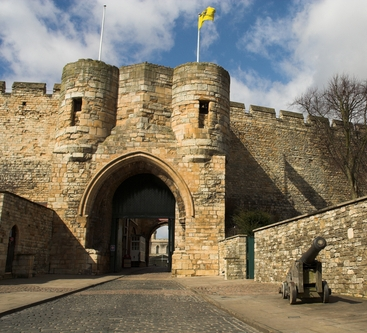 After having being held by Simon de Montfort, the castle, who’s defences were augmented by a town wall and fortified bridge, passed into the hands of the Earl of Lancaster and son of Henry III in 1267. In January 1234, Prince Llywelyn and Richard Marshal burned Shrewsbury and laid siege to its castle. Soon after, Peter des Roches, Bishop of Winchester, lured Marshal to Ireland where he was captured and killed in April. The town had been subject to sieges over earlier years. The castle is built of red sandstone and stands on a hill in the neck of the meander of the River Severn, on which the town originally developed.